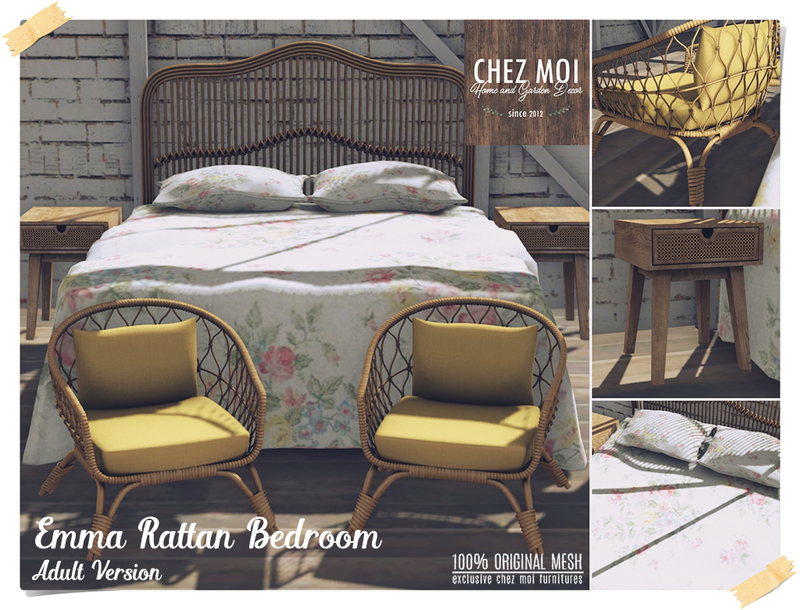 Summery style bedroom with many seductive and cozy poses. 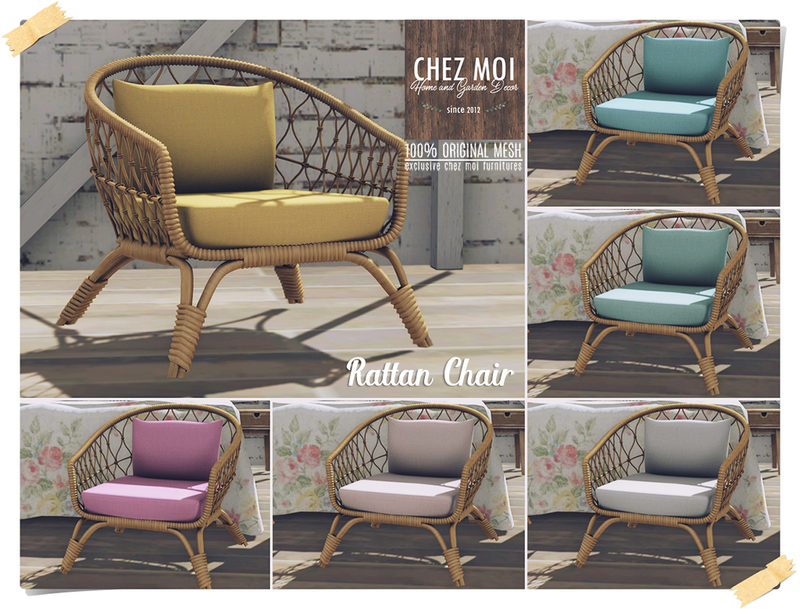 The rattan chair has 38 animations. Touch the cushion to display color menu. 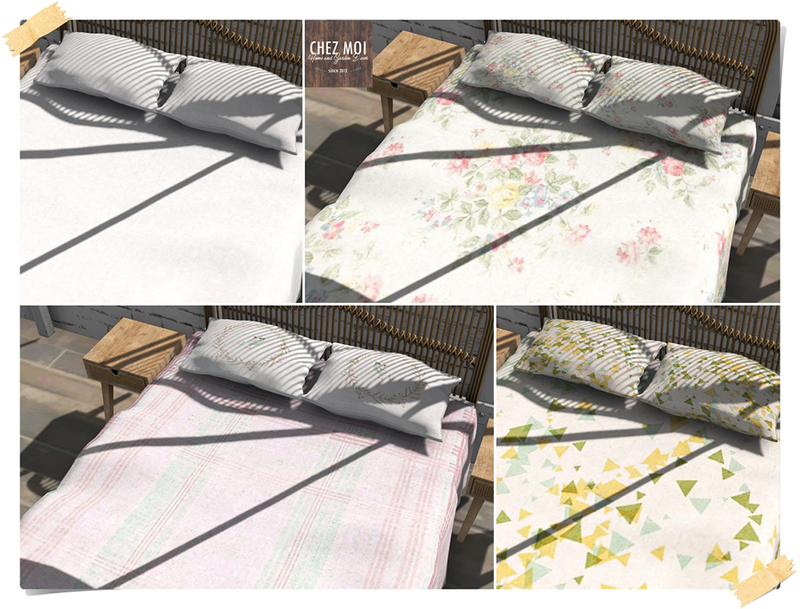 This bedroom is available at CHEZ MOI MARKETPLACE, or for a closer look visit our IN-WORLD STORE.